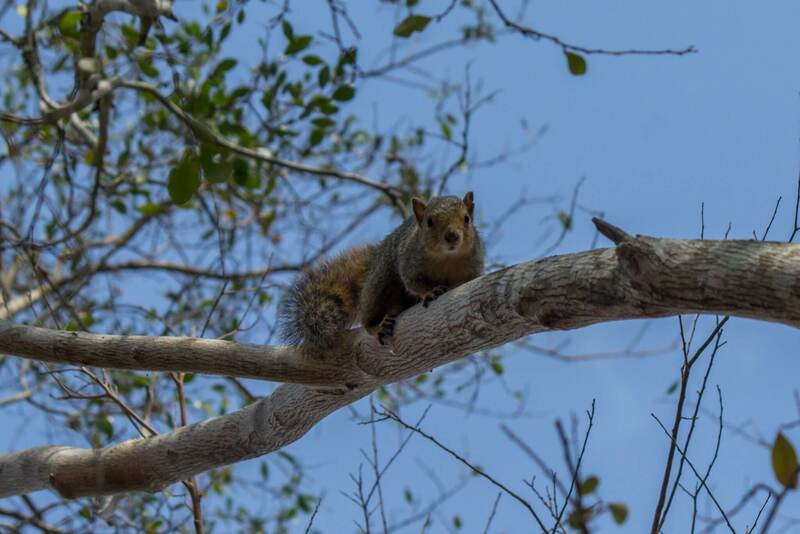 The red bush squirrel (Paraxerus palliatus), also known as red-bellied coast squirrel, is a species of squirrel found in forests along the eastern coast of Africa, from Somalia in the north to KwaZulu-Natal in the south. Coloration is greyish brown on the backside, and underparts, legs, tail and face are red to orange. 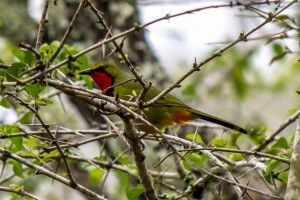 There are several subspecies that differ in size and coloration, depending on habitat. Larger and darker subspecies with thicker fur are found in montane forests, while smaller and lighter subspecies are found in coastal forest habitats. The size ranges from 209 g (7.4 oz) in the smaller subspecies to 368 g (13 oz) in the larger subspecies. 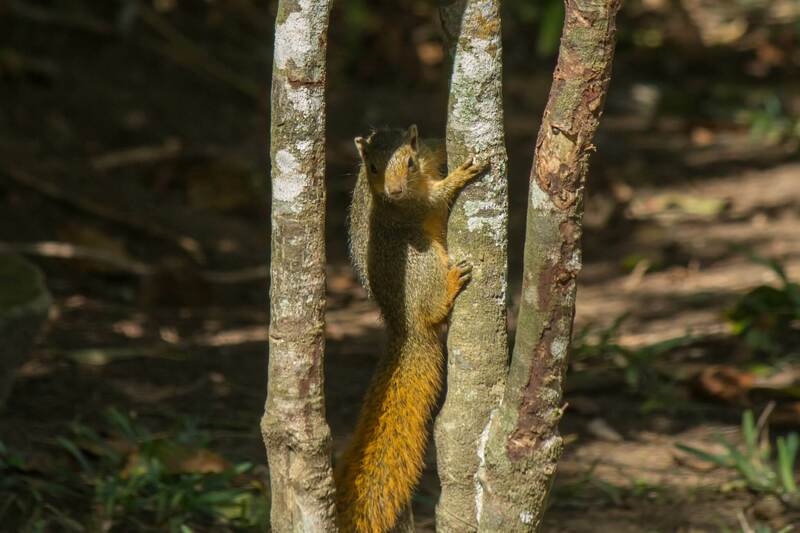 The red bush squirrel is a forest species, and can be found in moist evergreen forests, dry sand forests, montane forests, coastal forests and thickets. It predominantly feeds on nuts, berries, and fruits, as well as flower buds, roots, lichens, bark, leaves, and sometimes insects. It is a messy feeder, and it is common to find traces of its fallen leftovers on the forest floor. It will also stash food in the ground, but will quite often forget about it later. The males of the red bush squirrel have small home ranges spanning 3 ha, but because of the dense forest habitat this species often inhabits intruders are hard to spot and therefore borders between home ranges are quite loosely set. When facing intruders, the red bush squirrel often flicks its tail and jerks its body, and quite often barks and rattles. It will also emit quite loud barks as alarm calls when a predator is present. At night it will gather in small loose groups as they shelter in the hollows of trees or similar secure hideaways. A breeding pair will only get one litter of young per year. One litter normally consists of one or two young. 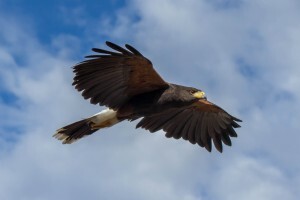 The female will give birth sometime between August and March after a gestation period of 60-65 days. The young open their eyes after 7-10 days, and after 18 days they will begin to venture outside of the nest. They are weaned after 40 days, and will stay with the group for 6-9 months before being expelled. The red bush squirrel is a widespread and adaptabale species. 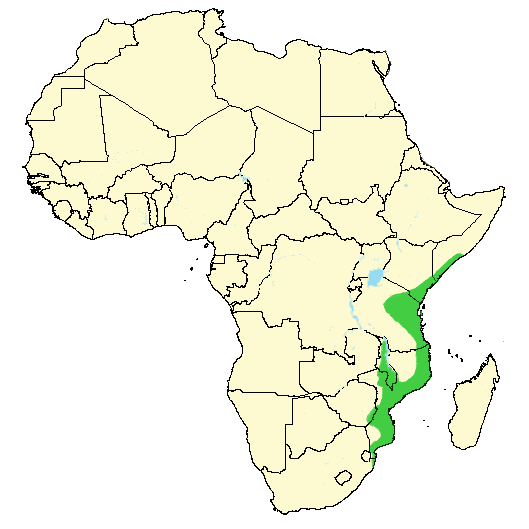 Even though large parts of its habitat along the coast is degraded and deforested, there are no threats to the species as a whole. 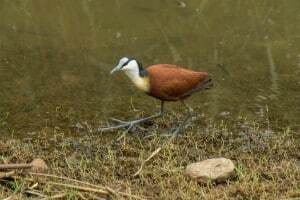 The species is therefore considered least concern on the IUCN Red List. There are no individual assessments of the subspecies. 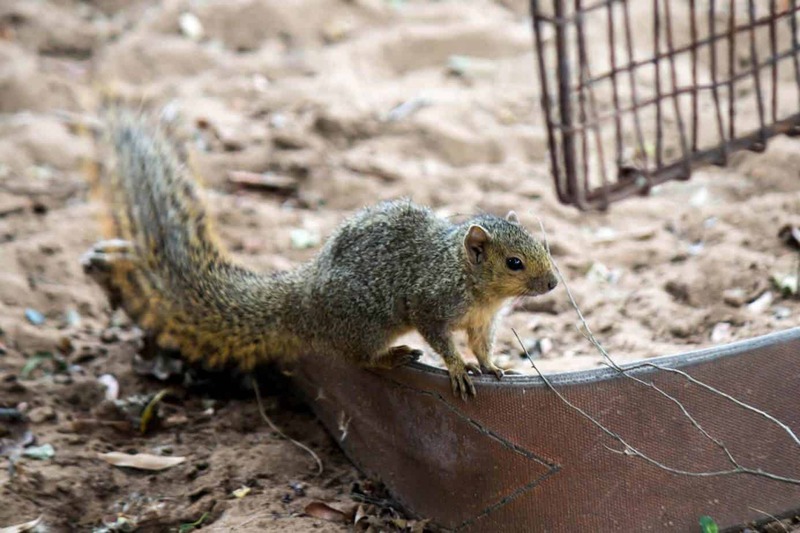 The two southernmost subspecies, the oNgoye red bush squirrel (P. palliatus ornatus), found only in the oNgoye forest, and the Tonga red bush squirrel (P. palliatus tongensis), found in and around the Lake St Lucia area, both found in KwaZulu-Natal, South Africa, are perhaps the two most well known and most studied subspecies. 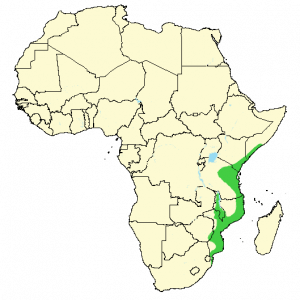 Even though the two subspecies occur quite close to each other, they are physically different and geographically separated. 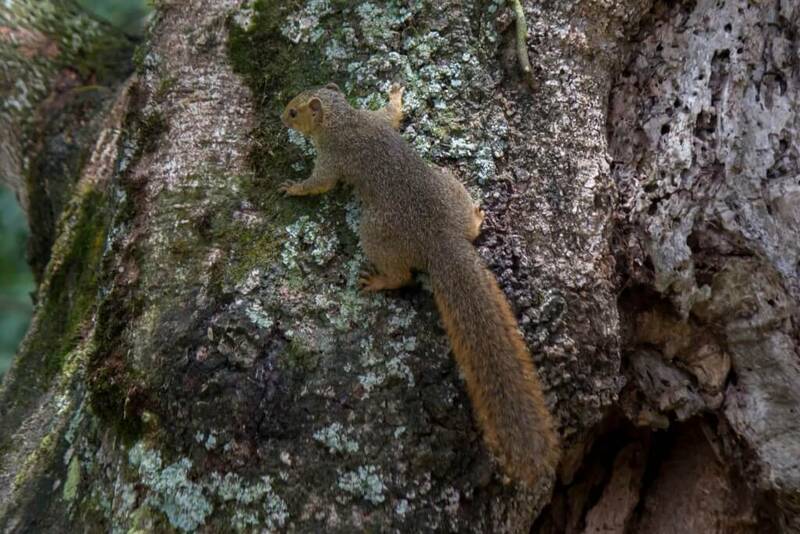 The oNgoye red bush squirrel is much larger and darker than the Tonga red bush squirrel. 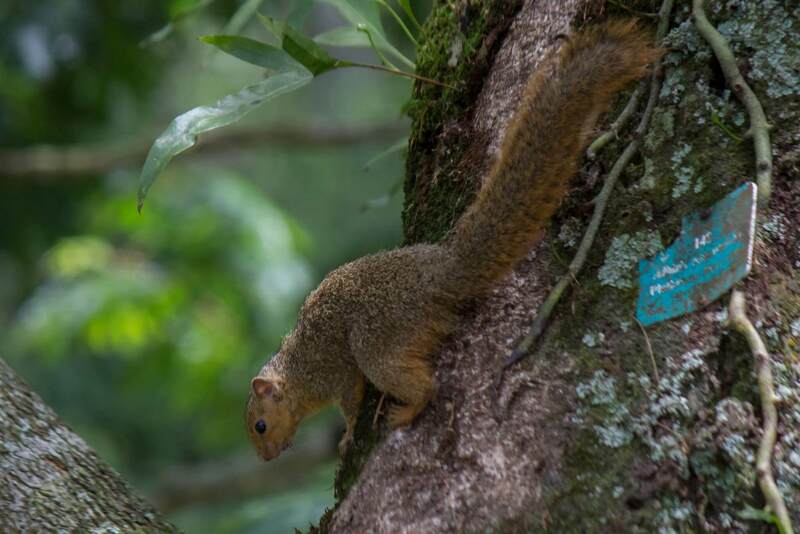 The oNgoye forest is mountainous, whereas the Tonga red bush squirrel is found in coastal forests.